With Sebastian Vettel's second victory in a row, and another strong performance from Webber, Red Bull extend their lead on the championship. 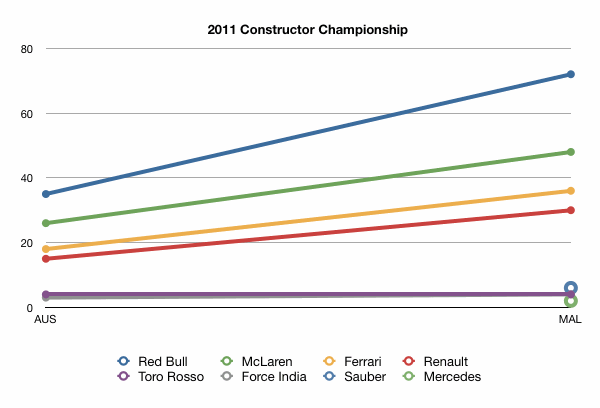 McLaren are close behind, whilst Ferrari and Renault are busy fighting for third position. Four teams remain without any points so far.